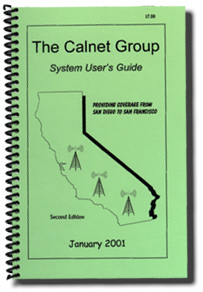 The new "2005 Calnet System User's Guide" gets a different look! This years color will be green. We don't want anyone to get confused with what year manual they are reading. All the updates have been made to the current manual. There were 20 extra pages of new information added this year. The total page count on the new user guide is 169. The proofing has been completed and the master copies are currently at the printer. The manuals should be completed by the 18th of September. After we get the manuals back, we will ship them out to the membership. Thanks for your patience! 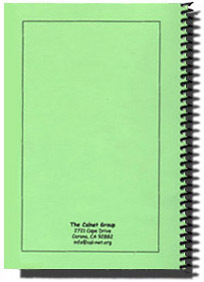 The new User Guides were shipped out to the General Membership on 9/20/05 at 7:00 pm. You should receive your New 2005 User's Guide in a few days!